Sol Sirenas Coral Resort for scuba diving and snorkeling equipment. At the 4-star All-Inclusive Sol Sirenas-Coral Resort Hotel, guests can combine a comfortable stay with diving in one of the most beautiful destination. The Diving Center is located near to the hotel. 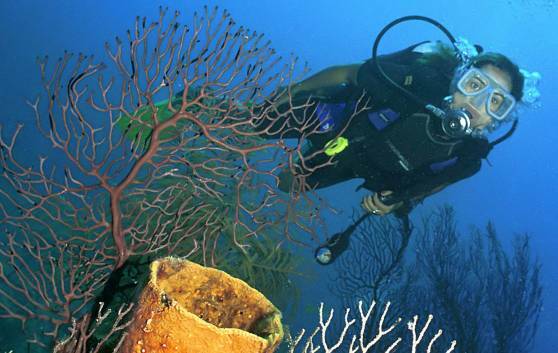 Varadero is the perfect destination for diving travel. The waters in Varadero Cuba are crystal clear and watching the shapes of colored fish and coral reefs are like a dream come true. You will find a wide variety of dives to suit all levels of ability in Cuba: scuba diving packages, lessons for beginners and certificated courses. Diving packages for your diving holidays.